Ancient China's major water location was the Yellow River and the Yangtze River. Other rivers inclued the Pearl River and the Songhua River. The major city settlements of Ancient China were located along the major rivers, which are the Yellow River and the Yangtze River. An example of a farming method used was they planted crops in rows, rather than scattering the seeds. Rice was a major product grown from the Ancient Chinese people. Iron plows were a good early farming tool in China. 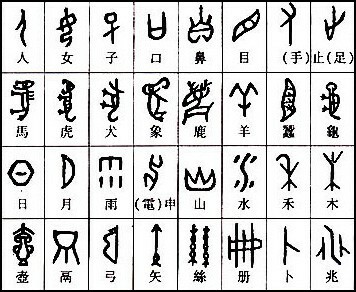 Ancient China's writing system is one of the oldest known written languages. The writing system uses a series of symbols that represent a complete word or phrase.